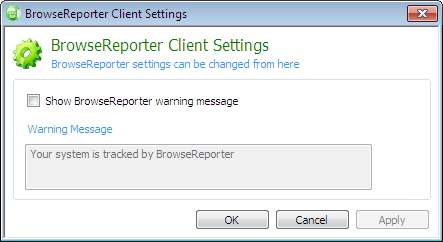 BrowseReporter is a powerful web-monitoring tool that allows you to monitor the browsing activity of your employees or students. It is a non-intrusive tool, running in stealth mode, without the users knowing that their systems are being monitored. 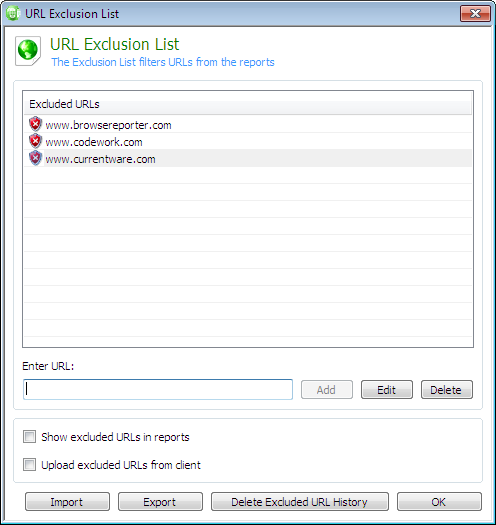 BrowseReporter captures the URLs of every visited web site. It includes a powerful reporting utility for generating tabular and graphical reports. URLS deemed to be a threat to the organization can readily be identified from the reports. In addition, unproductive users spending too much company time browsing the net can readily be isolated. Track/Report on Internet Activity Monitor web browsing activity on a per employee or per computer basis. Generate comprehensive tabular/graphical reports. Bandwidth Monitoring Track the Internet traffic on your network, to isolate users that are congesting the organization’s bandwidth. 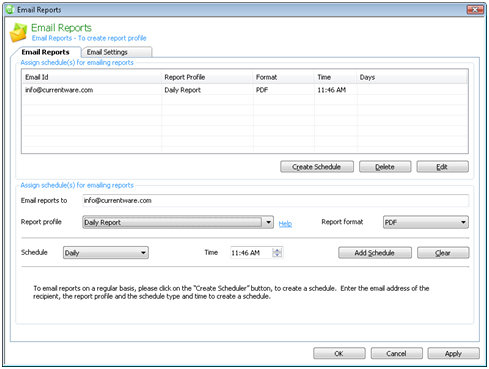 Automated Email Reports Reports can be automatically generated and emailed directly to the administrator(s). 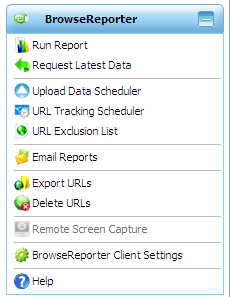 Remote Screen Capture: Monitor your users’ computer activity by capturing screenshots of their desktops. Identify unproductive employees/students. Schedule URL Tracking: Specify the time ranges when the Internet activity should be collected, ensuring that you view only relevant information. Set Idle Browsing Time: Web activates that are perceived to be inactive or idle can be suppressed from displaying on the final report. Identify PCs where excessive Internet activity is occurring. Isolate unproductive employees/students who are spending exceptionally large amounts of time surfing the Internet for personal use. 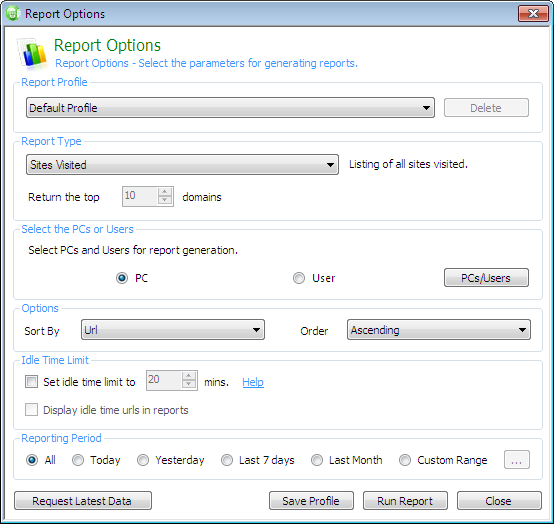 Generate either executive summary or detailed level reports/charts on User/PC browsing activity. Identify sources (Users/PCs) of high bandwidth usage which could contribute to network congestion. 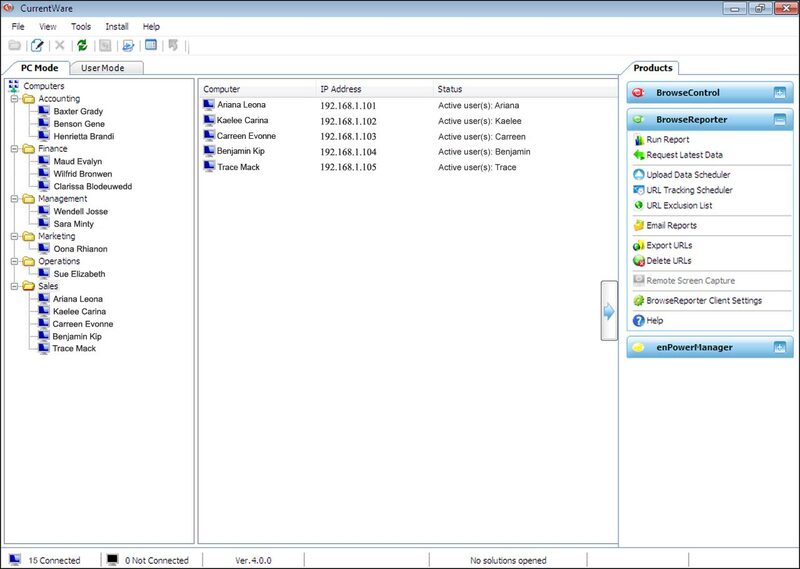 Monitor employees/students by capturing screens of their workstations on a regular basis. This provides you with real time information of their work/study activity. Automate the process of running/emailing reports on a scheduled basis to interested parties.